Last Friday, July 13th, Glenn Beck read part of an original letter from Thomas Jefferson to Caesar Rodney, the Delaware delegate to the Continental Congress who broke a tie for the Delaware delegation in favor of the Declaration of Independence. On his website, which covered this part of his show, someone claimed that these "are the kinds of stories the progressives have worked diligently to erase from American history." That is ironic, some might say deceitful, since it was a conservative who managed to get Jefferson cut from TX high school textbooks. Glenn literally held history on radio today as he showed the actual letter Thomas Jefferson wrote that may have been the key to getting the Declaration of Independence actually signed. These are the kinds of stories the progressives have worked diligently to erase from American history. If you want to restore America you have to first know what it looked like at the beginning. Cynthia Dunbar, a lawyer from Richmond who is a strict constitutionalist and thinks the nation was founded on Christian beliefs, managed to cut Thomas Jefferson from a list of figures whose writings inspired revolutions in the late 18th century and 19th century, replacing him with St. Thomas Aquinas, John Calvin and William Blackstone. (Jefferson is not well liked among conservatives on the board because he coined the term “separation between church and state.”). One wonders what was contained in the rest of the letter to Rodney that Beck could not be bothered to read on his three hour radio program. Beck did add “Caesar Rodney played a huge role in the passage of the Declaration of Independence.” Rodney broke the tie in the Delaware delegation in favor of passage of the Declaration and made the document the "unanimous Declaration of the thirteen united States of America," but it would have passed, 11-1-1 without Rodney's vote. Beck plays a huge role in distorting history for political and propaganda purposes. At the time, the United States was one of very few democratic governments in the world, and it certainly was "the world’s last great hope" at the time. Despite the corporate takeover of the United States under way thanks to the conservative Robert's Court decision, Citizens United v FEC, Beck and his ilk want us to believe that the United States of America is still last great hope. Jefferson had something to say about this, too. You won't hear Beck, the corporate shill, cite this quotation from Jefferson on any of his programs any time soon. If you want to restore America, help with the effort to get corporations out of our elections and law-making in Washington, DC. The people, conservative, liberal, progressive and radical, united against Citizens United, are the last great hope for a democratic Republic. 1) Debunking Glenn Beck: How to Save America from Media Pundits and Propagandists, Karl Rogers, Praeger, Santa Barbara, CA (2011), p. 179. Lisa, I have many examples of Beck lying and making other false claims on this site. 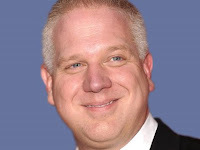 You demonstrate what is called biased assimilation if you think that Beck is honest. Next time, try showing what specific false claim of his is not a false claim. You can find lists of his false claims in the "Contents" page. Beck seems pretty honest and straightforward to me. Your complaints about him are specious. This blog doesn't seem to have acquired much traction. Noel/Rich, you suffer from biased assimilation. My criticisms of him are based upon facts, facts that you prefer to ignore. In this case, Jefferson is embraced by progressives and -- as I document -- expunged from texts by conservatives. As I told Lisa, I have documented many examples of Beck's false claims. We cannot know, in most cases, whether he is lying (because he knows the actual facts) or if he is just ignorant of the truth and simply makes things up or uses material from right-wing blogs and other sources that have made things up. Should you come back, feel free to take issue with any specific claim I make that Beck is making false claims. If I'm wrong with the facts, then I will make corrections. If anyone is being specious here, it is one of his fans unwilling or unable to grasp the deceitful quality of his reactionary propaganda. Victor, from what source did you quote Thomas Jefferson about corporations? It is indeed an oft quoted line from his letter to George Logan dated 12 November 1816. Did you source from Jefferson's letter itself or did you take from another blogger or perhaps from Citizen's United itself? If you read the letter in its entirety it is clear that Jefferson is not discussing corporations in the modern sense. Here is the context of the quote that clarifies that Jefferson is referring to the rich aristocracy in America not to corporations as we know them today. "In this respect England exhibits the most remarkable phaenomenon in the universe in the contrast between the profligacy of it’s government and the probity of it’s citizens. And accordingly it is now exhibiting an example of the truth of the maxim that virtue & interest are inseparable. It ends, as might have been expected, in the ruin of it’s people, but this ruin will fall heaviest, as it ought to fall on that hereditary aristocracy which has for generations been preparing the catastrophe. I hope we shall take warning from the example and crush in it’s birth the aristocracy of our monied corporations which dare already to challenge our government to a trial of strength and bid defiance to the laws of our country." It is well documented in our history that many of the wealthy that remained in America wanted to be the American equivalent to the English House of Lords and desired to rule over the common man. You accused Mr Beck of not reading the entire letter that he quoted. It appears that you did the same thing. Nanimal, the source is cited. How could Jefferson be referring to corporations in the modern sense; he was writing in his time? I don't think that you are reading Jefferson's quote the way Rogers did. He was not writing about aristocratic corporations, but the aristocracy of wealthy ("monied") corporations. The huge fortune of David and Charles Koch comes to mind. Jefferson's point is still pertinent in that regard. We are under a slow-motion coup d'etat by corporate powers because of Citizens United and FreeSpeech.org v FEC. This Court is corrupt, but that's for another post. Hit the "Publish Your Comment" button enough times Nanimal? There was actually a lot more in that letter to Logan that is also useful to criticize the empire that the United States has become. Thanks for that post. This is an old one I see, and the idiots are prominent back then as well.